Big data is the fuel driving most of the data driven businesses today by accelerating growth, informing strategy and improving the operational efficiency. Wikibon predict that the big data technology market will grow by 22% reaching $33.31 billion in 2015.According to a combined study by EMC and IDC, 2837 Exabyte’s (Exabyte is a billion gigabytes) of data was generated in the digital universe and it is expected to grow to 40,000 Exabyte’s by the end of 2020. Competing for a piece of pie from what IDC predicts to be a $32.4billion market by end of 2017, several big data start-ups are jumping onto the scene and few others are refining their analytics strategies.This article explores the top five big data startups in the big data space that are breaking a new ground with big data technology. As the data we generate grows every micro second and accelerates at a rapid pace, the need for business decision making is shifting its focus towards foresight based approach. Big Data startups are banking upon analytics to disrupt the market in the foresight based approach. Big data startups are leveraging recommendation systems by making sense of big data-predicting user intentions and rendering services and products people are looking for before they even know that they need them. During US President Obama’s visit to India, government installed approximately 15,000 cameras as a measure of security surveillance.If there is not sufficient man power to keep track of all the streams of video, the government could use one of the many big data analytics solutions provided by big data start-ups. These big data solutions would help in recording the unstructured data generated from the video streams for executing pattern matching algorithms-to find out any happenings depending on various pre-defined set of parameters. It is great to have data but it does not make any sense to the business unless it can be used for quick and effective business decision making to bring in profits. Data analysis and visualization techniques and tools are gaining demand because of the personalized products and services startups have to offer-helping businesses draw deep insights about their customers from the data before they do. Big Data market is heating up with startups building viable products which target real world pain points with huge funding’s from solid management teams.Big data start-ups are betting that customized data driven services and products will give them an edge over other giant IT organizations. Startups are finding ways to outperform the competition - the giant IT organizations, through big data analytics by customizing their services and products .From effective marketplaces to frictionless online transactions, from improvised customer interactions to perceptive predictions, from platforms which can instantly mine huge troves of data to catalogs of information available for sale, the startups ecosystem loves big data. Big Data Start-ups that put data first are able to fine-tune faster with the competitive market. Venture capitalists are on the verge of investing in cloud computing, big data analytics, or software development. The emerging trends in startups funding is giving the big data startups a shot in getting along with giant IT customers like Apple, Facebook , and Google. Funding from venture capitalists helps startups establish a strong customer base through personalized services and products. For instance, with smartphones and wearable devices like the FitBit Fitness trackers and Apple Watch, the novel big data startups are collecting the huge amounts of unstructured data generated from these devices and analysing it to develop customized products and services that customers can use. Venture capitalists perceive bright future of investing in big data startups as it is these small companies which aggregate tons of data to form value so that their customers can make the best use of it. With 60 million active users worldwide, close to 6 million paying customers, 20 million songs and approximately 1.5 billion playlists, Spotify produces close to 1.5 TB of compressed data on daily basis. Spotify has one of the biggest Hadoop clusters with 694 heterogeneous nodes running close to 7000 jobs in a day. Spotify delivered 4.5 billion hours of listening time in 2013 and is revolutionizing the manner in which people listen to music. Spotify plays a prominent role in the way music industry evolves. Streaming services of Spotify not only use big data to improvise music engagement and render a personalized experience, but they also identify upcoming music artists and predict their potential for success. Spotify uses predictive analysis through big data to add zeal of enjoyment and fun to user experience. It also uses the huge stream of big data to predict the winners at Grammy Awards with the prediction accuracy of 67%. Spotify recently acquired Echo Nest for $100 million. It is one of the top companies involved in recommendation technology and music analytics. Echo Nest mines big data and has compiled trillions of data points from 35 million songs by 2.5 million music artists. You are no more just a passenger or a fare to Uber but a big data goldmine that uber leverages for analytics. Uber knows everything from where you work, where you eat, where you live, where you travel and when you do all these things. Uber – a start-up in analytics is using the wealth of information collected to render personalized services to generate huge ROI by selling this data to its customer base. Uber is innovating new ways towards money making by selling the transactional data it has aggregated based on its rides. Uber has recently partnered with Starwood Hotels and Resorts. It has launched a service that allows users to connect with Starwood preferred Guest account. The advantage customers have is that the earn Starwood reward points when they take a ride with Uber. 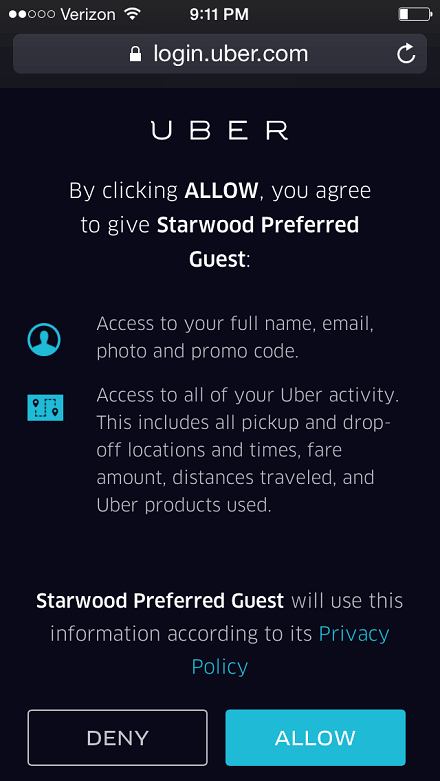 Customers give Uber the complete rights to share all the information about their ride with Starwood when they sign up. The below screenshot depicts the same. Starwood now will have access to all Uber ride information which can be leveraged for analytics. For instance, if you are a regular business traveller to your office in Seattle and take a ride with Uber frequently on your every travel then Uber records all the information about your pick up and drop off points. 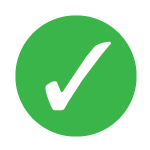 A Starwood marketing personnel can immediately pitch in if he/she notices that you choose to stay at any other Starwood property because Uber knows this. You will be flooded with several offers from Starwood ensuring that your next stay in Seattle is with one of the Starwood property helping them generate revenue over other competitors. Uber uses regression analysis to find out the size of neighbourhood which in turn helps Uber to find out the busiest neighbourhoods on Friday nights so that they can add additional surge charge to their customers bill. Uber takes ratings from its drivers and riders and leverages this data to analyse it for customer satisfaction and loyalty. This big data start-up has future plans to partner with supreme luxury brands, retailers, restaurants to collect data about the shopping malls you visit, the clubs you visit, the places you dine in .It plans to reveal this information to its customers so that the make use of it for targeted marketing. Netflix is a big data company that meticulously gathers information from more than 50 million subscribers at a remarkable pace. Netflix collects tons of data from its customers to under understand the behaviour of users and determine their preferences for movies and TV shows.It uses machine learning to predict an individual’s tastes depending on the choices they make. It collects various customer metrics such as what kind of movie people watch, when they watch, where they watch, the time spent on selecting movies, when users stop watching the movie or pause it, what devices they use to watch, searches, ratings, etc. Netflix big data startup leverages all the information collected to provide movie recommendations by predicting the movies or TV shows the customers are likely to enjoy.As, happy customers are likely to continue their subscription while bringing in profitability. 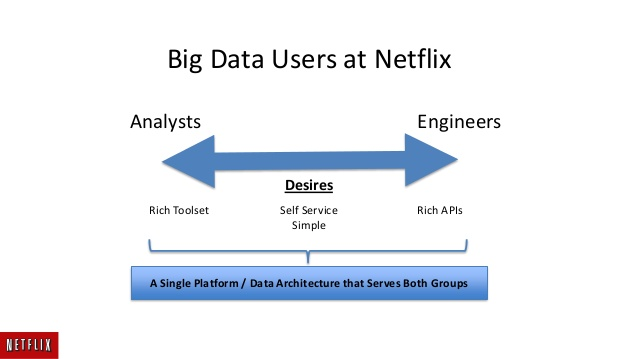 Netflix derives powerful insights from the collected big data to customize and improvise the experience of users on the platform depending on their preferences and tastes. Rubikloud is among one of the top big data startups that helps online retailers to make use of big data to increase their ROI by predicting consumer behaviour. Rubikloud has signed up with several retailers from health, beauty, fashion and other vertical owing to annual sales of $25 billion sales per annum. In January 2015, this big data startup raised funding of $7 million for customer analytics through big data. Rubikloud helps large retailers and also brick-and-mortar stores to collect, normalize and analyse big data by directly connecting their respective data stores. Vidooly is a big data start-up based in India founded by serial entrepreneurs Subrat, Ajay and Nishant. Vidooly is the “Alexa for YouTube”.Vidooly uses Google’s Big Query for YouTube big data analytics to help brands, content creators and multi-channel networks increase their audience base and generate more ROI from the YouTube platform. Vidooly provides its customers with different video tag suggestions, competitor tracking, best time to upload a video, behaviour analysis of subscribers, annotation optimization, comment moderation, etc. Vidooly big data engine analyses more than 1 million YouTube channels daily with close to 500 million video views on a monthly basis and more than 20 million audience data to track their behaviour on YouTube. Vidooly recently introduced a chrome extension VidLog that goes beyond YouTube analytics by providing an optimization progress report of any kind of YouTube video straight into the chrome browser in real time.The customer base of Vidooly includes Indian Food network, Ping Network, Times Music, Sony Music, Hoopla Kids. Startups need to adopt big data strategy to survive the competition in the market. With increasing customer expectations, big data companies that use analytics tools to enhance the consumer experience will continue to prosper and the startups that don’t will not survive. If there are any other booming big data startups leveraging analytics to harness consumer insights that we might have missed on, please share with us in comments below. 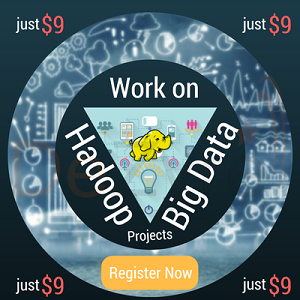 Enrol for Hadoop Certification to become a Hadoop Developer!